Browse through the best rich media examples of online media advertising, select the most engaging rich media mobile or desktop ad format, and gear the ad campaign in a click. No matter what you choose - rich media banner, pushdown ads, slider ads or else your viewers will see it in the right time and place. Rich media ads - less annoyance, more effect! Rich media advertising format is all about flexibility, - it floats, plays, and expands while the user interacts with a landing page. Customizable HTML5 allows the ad unit to turn into highly interactive creative, let it be the rich media banner ad, pop-up ad, rich media billboard, pop-up or rich media video. Launching rich media ad formats on our DSP platform, you target your own user segments, get impressions automatically, track rich media ad CTR, views, completion and more! Looking for media-rich creatives on your site? Register at SSP and start monetizing your inventory with relevant rich media advertising. 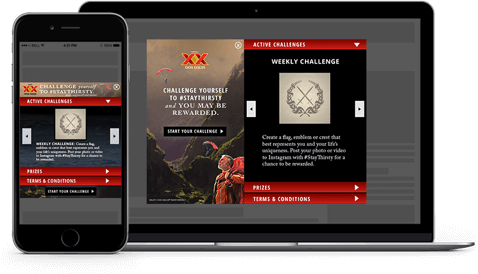 Interstitial ad is a multifaceted rich media format, it supports banner ad, video ad, and other HTML5-based ad units. Rich media mobile unit appears on the mobile devices & in-app at logical interruptions and occupies the whole screen. 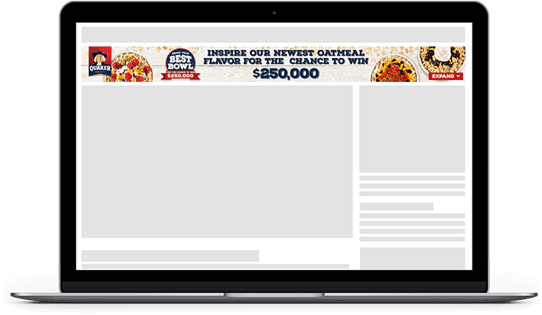 Interactive banner rich media ad format delivers highly interactive media advertising user experience. 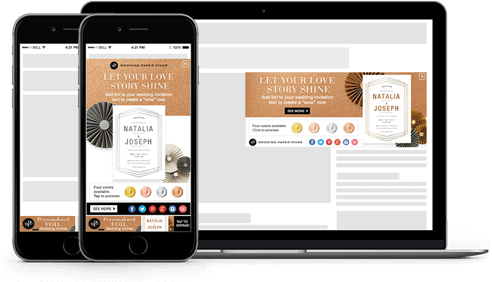 Rich media banner ads appear on top of the content of the landing page, featuring a large useful area, these display ads can fit an extensive text message. 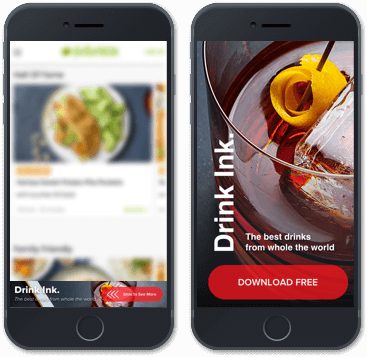 Expandable banner media ads expand in size when triggered by user behavior: a mouse-hover, a click, or tap. Expandable digital ad is time based - it retracts back after the timer is out. Pushdown media ads are variations of expandables, they push down the content while the ad is viewed. Pushdown rich media ads are alternatives to expandable ads. Pushdown page ad does not expand in sizes, it pushes the content of the landing page down. 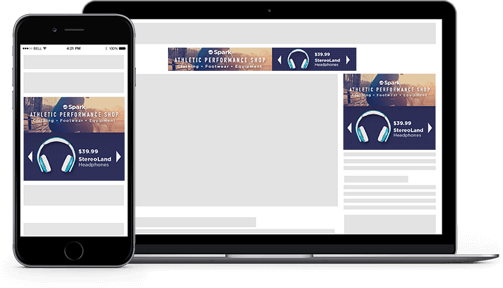 Pushdown ad formats support a variety of engaging creatives which don’t cover the content, receiving more views than overlaying ad units. Slider rich media advertising examples include creatives based on .swfs, img, 3rd party codes, they appear from the bottom of the user screen and roll along the page as user interacts with page and scrolls it. Slider rich media advertising format has high CTR due better engagement. Rich media ad types: time to inspire! Dreaming about launching an ad campaign that doesn’t only bring traffic but also converts well? Then there’s no better option than rich media video ads. No matter what you do - telling your brand’s story in rich media video ad or selling the new products with rich media banners, display ads and our platform will make it memorable. Start attracting the opportunities with rich media ads!